A business is any organisation that makes goods or provides services. There are many types of business, ranging from small firms owned and run by just one self-employed person, through to large companies which employ thousands of staff all over the world. A business start- up is a new firm operating in a market for the first time. In order to create goods and services, a business buys or hires inputs such as raw materials, equipment, buildings and staff. These inputs are transformed into outputs called products. These products are the goods and services used by consumers. Being able to make a difference by offering a service and products to the community. Governments usually encourage private businesses to create jobs and create value added to the economy. Sole traders: A sole trader describes any business that is owned and controlled by one person. Sole traders do not have a separate legal existence from the business. In the eyes of the law, the business and the owner are the same. As a result, the owner is personally liable for the firm’s debts and may have to pay for losses made by the business out of their own pocket. This is called unlimited liability. Partnerships: Partnerships are businesses owned by two or more people. it is similar to sole trader except that it owned by two or more owners. Limited companies: A limited company has special status in the eyes of the law. These types of company are incorporated, which means they have their own legal identity and can sue or own assets in their own right. The ownership of a limited company is divided up into equal parts called shares. Whoever owns one or more of these is called a shareholder. Because limited companies have their own legal identity, their owners are not personally liable for the firm’s debts. The shareholders have limited liability, which is the major advantage of this type of business legal structure. limited companies can be private or public limited company. for the public limited company, it is owned by mass people and traded publicly in the stock market. Franchising: An entrepreneur can opt to set up a new independent business and try to win customers. An alternative is to buy into an existing business and acquire the right to use an existing business idea. This is called franchising. A franchise is a joint venture between franchisee and franchisor. The franchisee is adopting a proven business model and selling a well-known product in a new local branch. An aim or objective is a statement of what a business is trying to achieve over the next 12 months. Business’s aim can be survival, increased profit, growth and others. Different organisations have different objectives. Business’s aims are changing over the business life cycle due to different business conditions and requirements. Business expansion has potential benefits and drawbacks. Some owners are reluctant to take the risk of growing the business and opt to stay small. As a business grows it gains two major advantages over its smaller rivals, which are lower prices and costs. 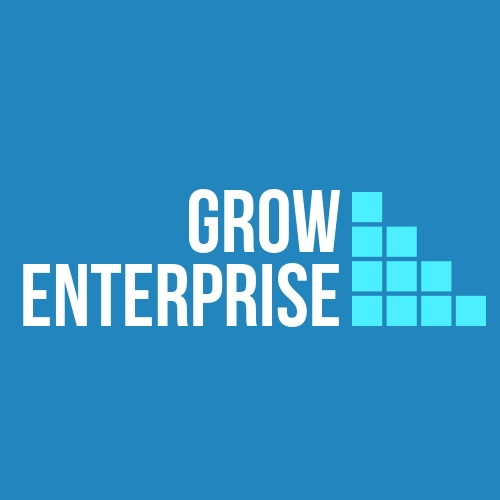 Growth can be organic, when growth had led by more investments at the enterprise resources and can be external, when it is caused by merging or acquisition with external businesses. Enterprise is a skill. Enterprise is the willingness of an individual or organisation to take risk, invest in a risky business and create value. entrepreneur is characterized by certain set of skills like, communication, creative thinking, innovative, risk taker, decision maker, problem solver, team leader and resilience. Entrepreneurs are those who work in a business context with high associated risk and relentlessly opt creating a unique value. It is important to identify consumers’ needs before launching a new product. A business conducts market research to help identify gaps in the market and business opportunities. Marketing is about identifying and satisfying customer needs. The first step is to gather information about customers needs, competitors and market trends. An entrepreneur can use the results of market research to produce competitive products. Market research involves gathering data about customers, competitors and market trends. There are two main methods of collecting information as such primary ( collect information from customers) and secondary researches (collect information from published resources). collected information can be quantitative (described as numbers) and qualitative (described as words or opinions). Accurate market research helps to reduce the risk of launching new or improved products. Most markets contain different groups of customers who share similar characteristics and buying habits. These collections of similar buyers make up distinct market segments. Market research is used to develop a marketing strategy, identify target customers, evaluate competition, define market mix, metrics and project sales. A company needs to consider the marketing mix in order to meet their consumers’ needs effectively. The marketing mix is the combination of product, price, place and promotion for any business venture. Market research findings are important in developing the overall marketing mix for a given product. By identifying specific customer needs a business can adjust the features, appearance, price and distribution method for a target market segment. A business can adjust the features, appearance and packaging of a product to create competitive advantage. A product is goods or a service that is sold to customers or other businesses. Customers buy a product to meet a need. This means the firm must concentrate on making products that best meet customer requirements. A business needs to choose the function, appearance and cost most likely to make a product appeal to the target market and stand out from the competition. This is called product differentiation. The product life cycle diagram shows that four stages exist in the ‘working life’ of most products: launch, growth, maturity, decline. A business must take many factors into account before deciding on the price of a product. Price is the amount customers are charged for items. Firms think very carefully about the price to charge for their products. There are a number of factors to take into account when reaching a pricing decision such as customer, competitors, cost of production, anticipated profit and business plans. As part of its marketing strategy, a company needs to decide where best to distribute a product. Place is the point where products are made available to customers. A business has to decide on the most cost-effective way to make their products easily available to customers. Potential methods include using retailers, wholesalers, direct sales, online sales and telesales. Promotion refers to the methods used by a business to make customers aware of its product. Advertising is just one of the means a business can use to create publicity. Businesses create an overall promotional mix by advertising, sales promotion, TV, radio, printings, PR, personal sales, online advertising and others. All businesses need finance. There are a number of funding sources used by organisations. Firms need finance to setup a business, run a business and grow a business. Some sources of finance are short term and must be paid back within a year. Other sources of finance are long term and can be paid back over many years. Internal sources of finance are funds found inside the business such as revenues and selling assets. External sources of finance are found outside the business, eg from creditors or banks. Short-term sources of external finance are like overdraft facility, trade credits and factoring. Long-term sources of external finance are like investing in a business or buying equity shares in a business and loans from banks. Recently, online funding such as crowdfunding, is becoming famous to easily secure a credit and equity funding to a new venture. All businesses should keep proper accounts. This involves the calculation of revenue, costs and profit. Revenue is the income earned by a business over a period of time, eg one month. Costs are the expenses involved in making a product. Some costs, called variable costs, change with the amount produced. For example, the cost of raw materials rises as more output is made. Other costs, called fixed costs, stay the same even if more is produced. Office rent is an example of a fixed cost which remains the same each month even if output rises. Another way of classifying costs is to distinguish between direct costs and indirect costs. Direct costs, such as raw materials, can be linked to a product whereas indirect costs, such as rent, cannot be linked directly to a product. The total cost is the amount of money spent by a firm on producing a given level of output. Total costs are made up of fixed costs (FC) and variable costs (VC). Profit is the surplus left from revenue after paying all costs. Profit is the reward for risk-taking. A business can use profit to either reward owners or invest in growth or save for the future. A loss is made when the revenue from sales is not enough to cover all the costs of production. Companies need to budget and be aware of cash flow in order to stay solvent. Cash flow is the movement of money in and out of the business. Cash flow can be from operation or investment or finance or equity. Cash flows into the business as receipts – eg from cash received from selling products or from loans. Cash flows out of the business as payments – eg to pay wages, supplies and interest on loans. Net cash flow is the difference between money in and money out. A business can be insolvent if a business runs out of cash and cannot pay its suppliers or workers it is insolvent. Calculating profitability involves first working out the minimum level of sales required to cover all costs. At low levels of sales, a business is not selling enough units for revenue to cover costs. A loss is made. As more items are sold, the total revenue increases and covers more of the costs. The break-even point is reached when the total revenue exactly matches the total costs and the business is not making a profit or a loss. If the firm can sell at production levels above this point, it will be making a profit. Establishing the break-even point helps a firm to plan the levels of production it needs to be profitable. A business keeps various types of financial records to monitor its performance and ensure that taxes are paid. These include cash flow statements, profit and loss accounts and a balance sheet. A trading, profit and loss account shows the business’s financial performance over a given time period, eg one year. Balance sheet: A balance sheet shows the value of a business on a particular date. A balance sheet shows what the business owns and owes (its assets and its liabilities). Working capital: A business is solvent if it can meet its short-term debts when they are due for payment. To do this it needs adequate working capital. Everyone within the company needs to understand their role in the business’ structure. Structuring a business is an organisational chart showing the structure of a company. As a business grows in size and takes on more staff, managers need to make sure employees understand their role within the company. Organisation is the way a business is structured. Organisation charts are diagrams that show the internal structure of the business. They make it easy to identify the specific roles and responsibilities of staff. They also show how different roles relate to one another and the structure of departments within the whole company. Types of organisation: The staff structures of a tall organisation and a flat organisation. Without the right staff with the right skills, a business cannot satisfy customer requirements. This is why organisations draw up workforce plans to identify their future staffing requirements. Recruitment is the process by which a business seeks to hire the right person for a vacancy. The firm writes a job description and person specification for the post and then advertises the vacancy in an appropriate place. Job descriptions explain the work to be done and typically set out the job title, location of work and main tasks of the employee. Person specifications list individual qualities of the person required, eg qualifications, experience and skills. Firms can recruit from inside or outside the organisation. Managers must decide on the best method to assess and select applicants for a job. Application forms, CVs, references, interviews, presentations, role-play and tests can be used to show if an individual is suitable for the specific job on offer. Training: Induction is the training given to new workers so that they understand their role and responsibilities and can do their job. Staff should learn new skills throughout the course of their career to stay productive. Training improves technical, personal or management skills and will increase staff efficiency. An annual staff appraisal is a chance for an employee to discuss their recent work and future training needs with their line manager in a meeting. Retaining workers is important to a firm because it costs time and money to hire and train a replacement. Appraisal and training helps motivate staff and so improves staff retention. Companies can motivate employees to do a better job with incentives such as increased pay or improved working conditions. Motivation is about the ways a business can encourage staff to give their best. Motivated staff care about the success of the business and work better. A motivated workforce results in increasing outputs, improving quality and achieving higher level of staff retention. Managers can influence employee motivation in a variety of ways such as monetary factors (i.e. pay increase, bonus, promotion) and non monetary factors (i.e. award, giving more responsibilities). Employers need to follow certain laws and procedures in order to protect their staff and customers. To prevent exploitation, the government has passed a number of laws that safeguard staff such as, setting minimum wage, anti-discrimination. Businesses must be careful to treat all workers fairly. They must offer equal pay and promotion opportunities for women and ethnic minorities. Protecting workers rights increases the costs of firms. Businesses operate in a dynamic and competitive market. Workers can lose their job through redundancy if the business suffers a fall in sales. Staff should be protected from harm. Health and safety procedures are put in place to prevent staff from being harmed or becoming ill due to work. Effective communication is important both within an organisation and externally. Effective communication improves business efficiency. Communication is about passing messages between people or organisations. Messages between a sender and receiver take place using a medium such as email or phone. Effective communication means customers enjoy a good relationship with the business, staff understand their roles and responsibilities and staff is motivated because they are listened to. Selecting the right medium is important. Training staff to select an appropriate medium and send clear, accurate, thorough messages will improve the quality of communications. Businesses have gained significantly from advances in computing like, ICT. An entrepreneur needs to decide whether a job, batch or flow production method is best for their business. Job production, where items are made individually and each item is finished before the next one is started. Batch production, where groups of items are made together. Each batch is finished before starting the next block of goods. Flow production, where identical, standardised items are produced on an assembly line. The best method of production depends on the type of product being made and the size of the market. Efficiency, productivity and competitiveness are linked. Efficiency is about making the best possible use of resources. Efficient firms maximise outputs from given inputs, and so minimise their costs. By improving efficiency a business can reduce its costs and improve its competitiveness. There is a difference between production and productivity. Production is the total amount made by a business in a given time period. Productivity measures how much each employee makes over a period of time. Staff productivity depends on skills, quality of machines available and effective management & leadership. Productivity can be improved through training, investment in equipment and better management of staff. There are benefits and drawbacks in increasing the size of operation of a business. The cost advantage is known as economies of scale. The cost disadvantage is known as diseconomies of scale. Economies of scale are the cost advantage from business expansion. As some firms grow in size their unit costs begin to fall because of purchasing economies, marketing economies, administrative economies, research and development economies. Diseconomies of scale is when a business becomes so large that its unit costs begin to rise. Expanding firms can experience diseconomies of scale. Causes of diseconomies of scale include ineffective communication and reduced motivation. Ensuring quality means making sure that products are made to a minimum standard or better. Quality is about meeting the minimum standard required to satisfy customer needs and specification authority standards. Producing faulty goods incurs repair costs and damages the reputation of the firm. There are two main approaches to achieving quality as such, quality control ( check production against set quality requirements) and quality assurance ( check what you do). Keeping eyes on the customer experience while using a product is a practical tool to evaluate quality. Managing and storing stock effectively is important for a business in order to maintain production and sales. Stock is any item stored by a business for use in production or sales. Stock can be raw materials and finished goods. Holding stock incurs warehouse storage costs and ties up working capital. Funds must be found to pay for materials, components and unsold goods with interest. Running out of one item of stock could bring the whole factory to a halt. Stock control aims to hold sufficient items on site to enable production while minimising stock holding costs. There are two methods of stock control – just in case ( to build up a stock sufficient for i.e. one-month sales or production) and just in time (With just in time, a business holds no stock and instead relies upon deliveries of raw materials and components to arrive exactly when they are needed). Businesses have different types of internal and external stakeholders, with different interests and priorities. Sometimes these interests can conflict. A stakeholder is anyone with an interest in a business. Stakeholders are individuals, groups or organisations that are affected by the activity of the business. They include owners, managers, workers, customers, suppliers and others. Internal stakeholders are groups within a business – eg owners and workers. External stakeholders are groups outside a business – eg suppliers. Owners have a big say in how the aims of the business are decided, but other groups also have an influence over decision making. Customers are also key stakeholders. Businesses that ignore the concerns of customers find themselves losing sales to rivals. Sometimes stakeholders’ objectives get conflicted. Businesses affect the local environment – both natural and social. Ethical businesses try to keep the impact of their operations on the environment to a minimum. Business activity has an impact on the natural environment such as, resources (i.e. timber, oil and metals), manufacturing (i.e. it can have unintended spillover effects on others in the form of noise and pollution), and land (i.e. it is lost to future generations when new houses or roads are built on greenfield sites). The unintended negative effects of business activity on people and places are called social costs and include noise, pollution, visual blight and congestion. Ethical businesses are careful to minimise the impact of their behaviour on the environment. Government laws are used to protect the environment. Social benefits are business activities that have a beneficial or favourable impact on people or places. A proposed project often generates both costs and benefits. For example, building a new factory on a greenfield site creates social benefits in the form of new jobs. However, the loss of open land is a social cost. Building is justified only if the benefits exceed the costs. The location of a business can make an important difference to its success. Choosing the right location means taking into account a number of factors. Location is the place where a firm decides to site its operations. Location decisions can have a big impact on costs and revenues. A business needs to decide on the best location taking into account factors such as, customers, staff, support services and cost factors. Location is also important to be close to the infrastructure services (telephone, internet, roads, airports, ports, banks,..). The government offers grants and assistance to businesses that locate in areas with high unemployment. Incentives include grants, loans, tax breaks and others. setting up a business overseas involves a number of challenges cultural and language barriers, legal issues, exchange rate issues and others. Market prices depend on levels of supply and demand. These levels rise and fall according to a number of factors, and can have a big impact on the success of a business. A market is any place where buyers and sellers meet to trade products. The market price is the amount customers are charged for items and depends on demand and supply. Demand is the amount of a product customers are prepared to buy at different prices. Supply is the amount of a product businesses are prepared to sell at different prices. Market prices change when supply and demand patterns change. Changing market prices affect a firm’s costs. When the price of commodities such as oil and electricity increases, a business finds its own costs of production rise. Higher costs are either passed on to the consumer in the form of higher prices or absorbed by the firm. This leaves prices unchanged but means lower profit margins for the company. Many small firms depend on credit such as bank loans and overdrafts to help finance their business activities. Interest is the reward for lending and the cost of borrowing. The interest rate is the percentage rate charged on a loan or paid on savings. The impact of a change in interest rates varies from business to business. In the UK voters elect a national government at Westminster and local government in town halls. Voters expect the government to manage the economy well. Government economic objectives include low unemployment, lower prices and economic growth. The main types of tax include income tax, value added tax (VAT), corporation tax and national insurance contributions. The exchange rate is the price of foreign currency one pound can buy. The price of UK exports and imports is affected by changes in the exchange rate. An increase in the value of sterling means one pound buys more dollars. A fall in the value of sterling means one pound buys fewer dollars. This means the pound has depreciated (fallen) in value and become weaker. UK exporters benefit from a fall in the value of sterling. Over time, the level of economic activity in a country tends to move up and down in a business cycle. The impact of a recession varies from business to business. Source: BBC Bitesize for the GCSE business studies.